I don’t know about you, but I’ve always struggled with watches. I love to wear one and I love the look of them, but I find that lots of watches appear too big and clunky on me. I’ve got quite skinny wrists and long hands, so I sometimes find that big chunky watches look a little bit weird! 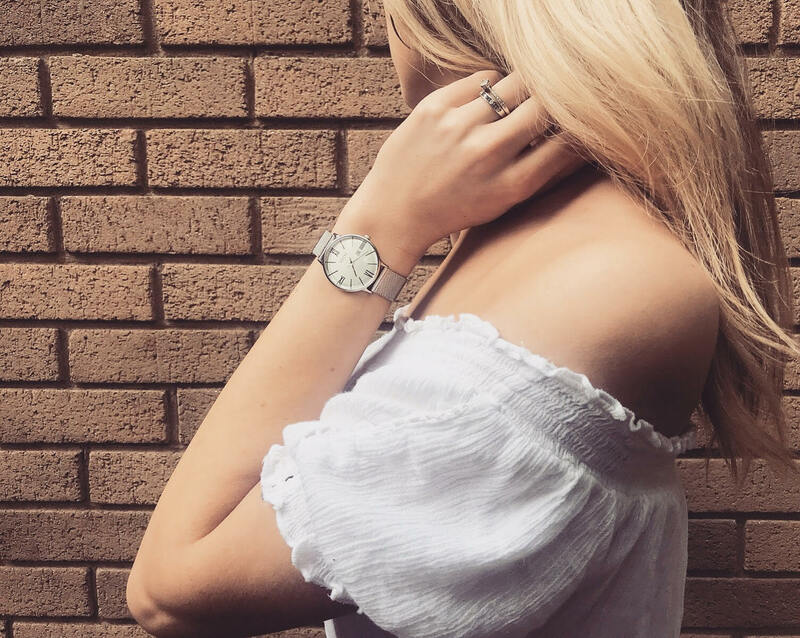 I’m also a bit fan of pretty, dainty jewellery and often a big old watch gleaming away on your wrist kind of clashes with the look of a ditsy necklace and pretty stacking rings! So, you can imagine how happy I was when the lovely people at Adexe got in touch, asking me if I'd like to receive one of their watches. I decided to go for the 'Meek' Petite Silver Watch because, as I said, big chunky watches aren't my thing, that said though, from what I can tell, Adexe don't appear to do big, thick watches. Their bands are all quite slim, which I personally think sits nicer against your wrist. Some of the faces are bigger than this one, as they do both 'petite' watches like this and 'grande' watches. The petite watches have a watch face of 33mm and the grande 41mm. They also do a range of different colours, there was a gorgeous rose gold with a berry coloured face that I was also pretty tempted by! They do both all metal watches, like this one and leather strap watches in a huge range of styles, so there's something for everyone! 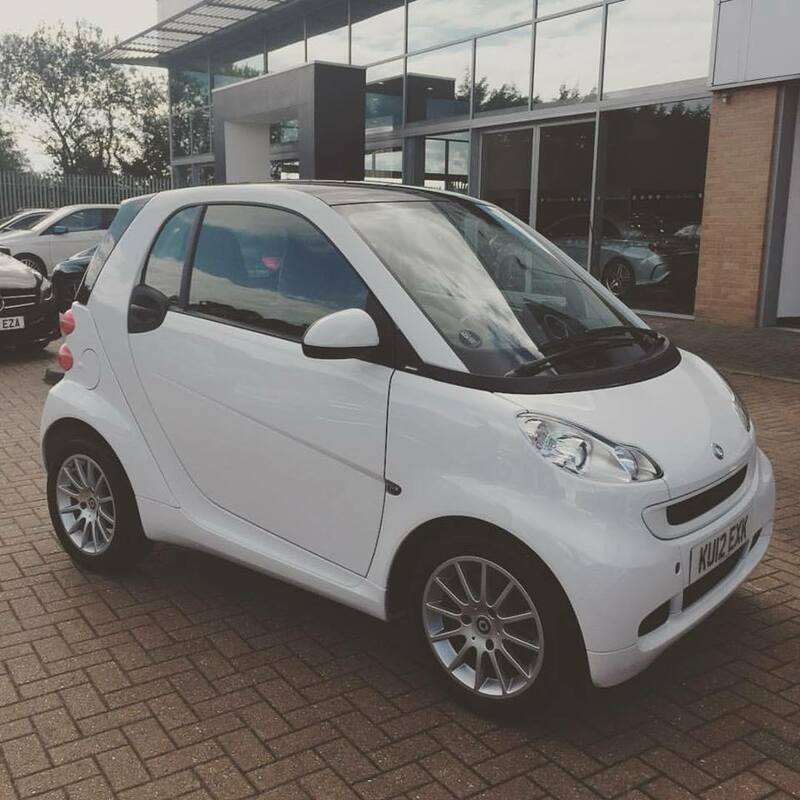 I was thrilled with my choice, because its very slimline, simple and classic, meaning it goes with pretty much anything I wear. 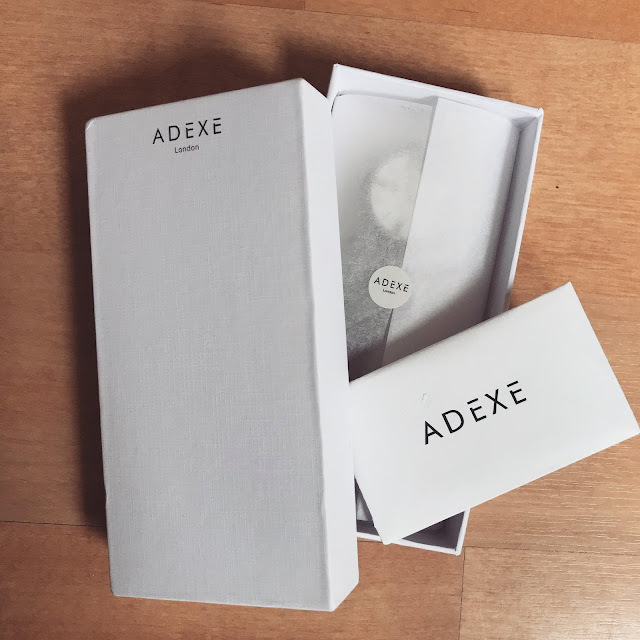 The watch came beautifully packaged in a simple, white Adexe branded box, with the watch safely packed inside, attached by secure elastic to a padded insert so that it didn't slide around in the post. It came with a guidance card on how to use the watch and a warranty card inside a little envelope. It didn't have instructions on how to adjust the watch, but it's pretty self explanatory and easy to figure out and I'm sure you'd be able to find a video online for how to do so if you got really stuck. It also comes with a little tool to help you adjust the watch, which is great because I have had watches before that didn't come with this and have broken many a nail trying to adjust without an aid! This watch in particular is made with Stainless Steel, so it's going to be super hard-wearing and while it isn't big and heavy, it does feel very sturdy and well made so I know it's going to last me a long time. While Adexe do use very high quality materials to produce their products, because the watches are designed in London and made in house, this reduces the number of intermediaries in between the design and production process, meaning the price tag is reduced. 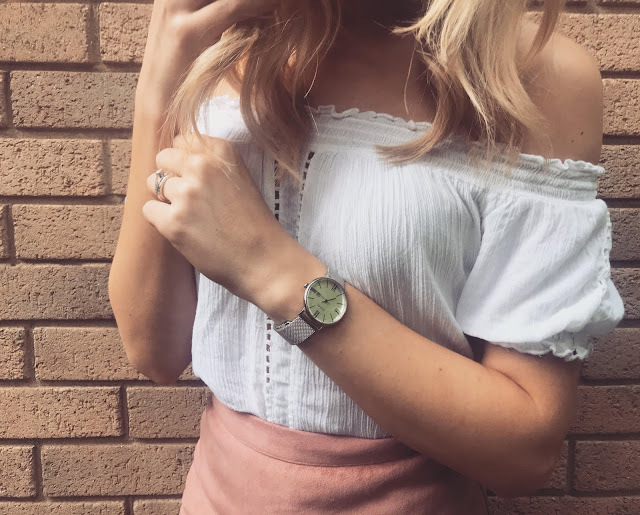 You can pay hundreds of pounds for watches of a similar or sometimes lesser quality, but Adexe watches range from £89 to £129, making a quality timepiece much more accessible to many people. Let me know what you think! 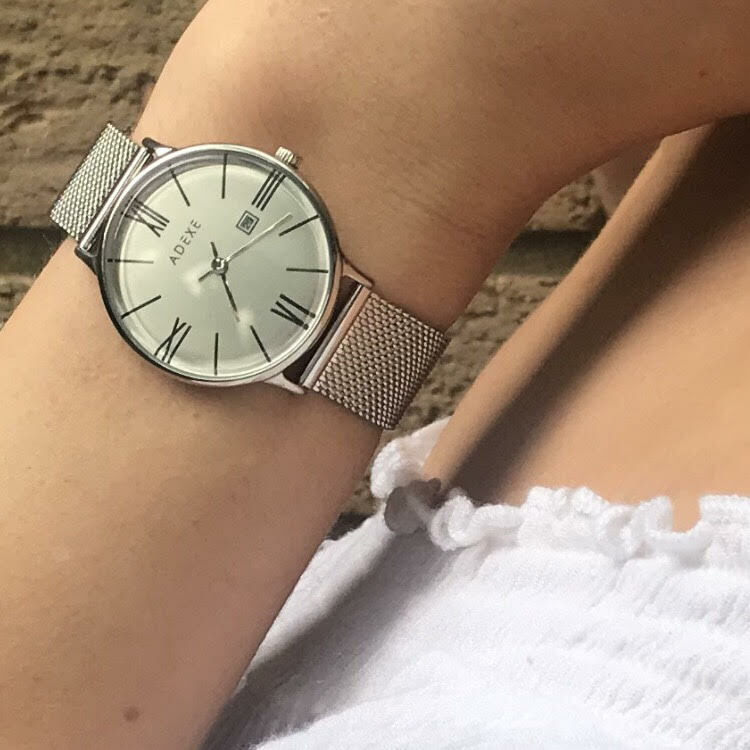 If you're interested in Adexe watches, you can use code 'CHLOESWAY15' for 15% off! This watch was sent to me by Adexe as part of a gift-based collaboration. As always though, all opinions are my own and I am under no obligation to share a positive review of any product gifted or otherwise. My car and driving isn't always something that is at the forefront of my mind during the summer, even less so my tyres. In the winter, we know we have to be extra careful, but with less rainy days and no risk of ice and snow, it's not surprising that tyres are taken for granted during the summer. The fact is, wear and tear happens year round and it's important to ensure that you're safe in your car year round. I've posted about car maintenance in the past and while I know it's a bit of a dull topic, it's so important. Something that you might put off of proper tyre care, is the cost of new tyres. I get it, why buy your car new tyres when you could buy yourself new shoes right? Wrong! Without even getting to how unsafe bad tyres can be, they also increase fuel consumption, meaning you'll be spending even more money on fuel. It can effect your brakes, which can be very expensive to have to fix - so replacing old worn tyres can actually not only keep you safe, but save you money! For the price friendly factor, you can buy cheap tyres online at DAT Tyres here. My Husband recently bought a new tyre online after getting a nail stuck in his and it was so convenient not having to get the car to the garage with a flat! Who loves a road trip in the Summer? We Brits travel in our cars a lot during the Summer, be it a weekend away or day trips to the beach, we spend a lot of time in the car. Wouldn't it put a bit of a dampener on your trip if one of your tyres went flat halfway down the motor way on your way to the seaside? Or worse still, if your worn out tyres were slipping and sling in the British summer rain. I'm trying to keep this post light hearted, but road accidents are all too common and can be caused by unchecked tyres. Something so quick and easy to check and fix, but all too commonly forgotten. So, don't forget, before you head out on any trips this summer, check for punctures, check your tread depth (look up the 20p trick, it's so simple - https://www.tyresafe.org/tyre-safety/tread-depth/) and check your pressure (petrol stations usually have a free to use pressure gauge). Would you say you lived for the weekend? Do you hate Mondays? Did you know that if you spend 5 days a week waiting for the weekend, you're spending around 70% of your time wishing your life away? 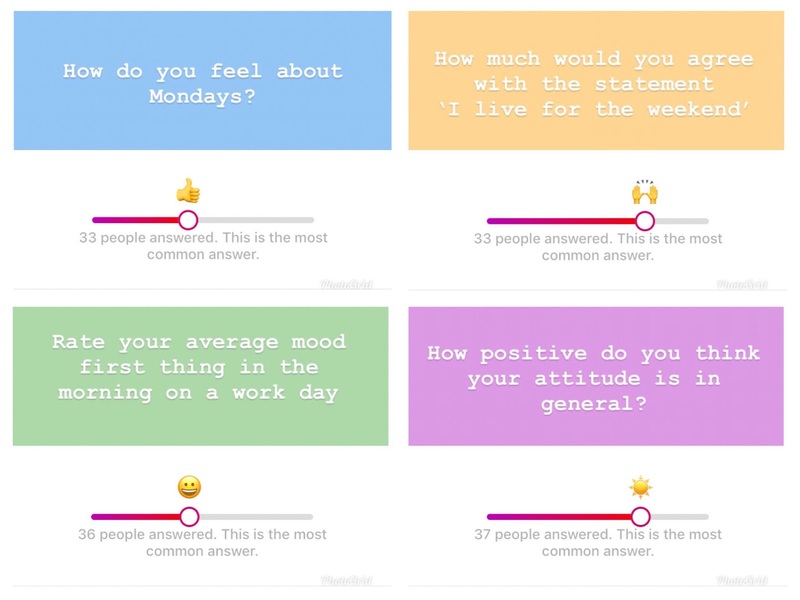 Yesterday, I posted a few polls on Instagram, asking my followers to rate their general positivity levels and the results, as you can see below were super interesting! On average, most people rated how they feel about Mondays and their mood on a work morning pretty low and agreed strongly with the phrase 'I live for the weekend', but rated themselves very highly when asked how positive their attitude generally. I found this really quite interesting, because while many people seem to hate Mondays and be in a fairly low mood before work (on average, 5 days a week! ), they still considered themselves to be positive in general. I'm not saying this is a bad thing at all, if anything, I think it's great that people still feel pretty happy despite these things, but it does get me thinking, surely if these otherwise positive people could maybe adjust their mindset a little, they could spread their good vibes throughout the entire week and start living for every day rather than a rather small percentage of the week! So, with this in mind, I'm going to share a few tips that help me to feel more positive and to enjoy every day! I know, I know, it's massive cliche, but something as simple as waking up and telling yourself that you're about to have a great day can massively improve your mood. Thinking negatively and focusing on the bad things can have a huge impact on your mindset right from the beginning of you day. 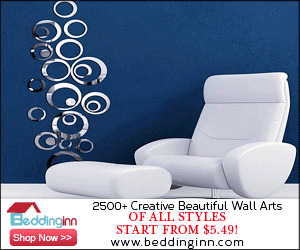 No matter what lies ahead, try thinking 'today will be a good day' before you even get out of bed. It's amazing what a difference it can make, honest! Sometimes, you have to do things that you wouldn't necessarily choose to do, that's life, while there may be several things you'd rather be doing, there's no reason why you can't make the best of every moment. Maybe you're crazy busy at work, but again, a simple change of mindset can do wonders. Accept and enjoy the challenging times, breathe and relax in moments you'd typically find a bit dull and boring. Enjoy talking to your colleagues, grab the opportunity to learn new things in your job (or school!) every day. This doesn't only apply to worky things, but to leisure time too. Do you find that you're in a rut all week? Wake up, Work, Home, Eat, Sleep, Repeat. Sound familiar? Stop! Make midweek plans, go the pub on a Wednesday night, have a cinema date on a Monday. There are so many hours that you could fill doing things you love all week long, not just on Friday night and the weekend. This point relates nicely to the last point of making the most of every moment. 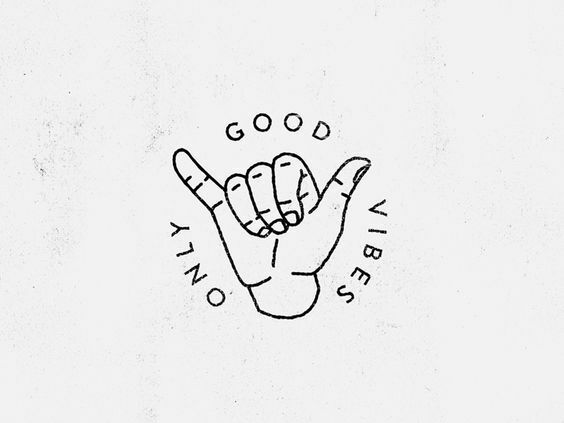 Sometimes, it's really easy to wish the time away and keep thinking of Friday or of 5pm, but staying in the moment and accepting for what it is helps you to stay focused and of course, you'll feel less negative if you're not wishing you were somewhere else! Perhaps you're at work doing a task that's driving you a bit mad. In these sort of situations, I stop for a second and think about how accomplished I'll feel when I'm done. I focus there and then on the task and work as hard as I can and sometimes, I even come to enjoy the challenge! Even more mundane tasks like doing the washing up have a sense of accomplishment at the end, whatever you're doing, have your end goal in mind and take pride in working hard at the things you don't necessarily love doing while you're doing them. Another cliche, sorry! It's important though to remember how much you have to be thankful for. It's easy to forget the little things when you're caught up in wishing your situation was different, but when things get tough, try to stop for a moment and think. You may be at school wishing the bell would ring, but right now, you're sitting, learning new things, broadening your knowledge and mind.You might be a work on Tuesday, counting down the hours until Friday, but think about the reasons you like your job and why you applied in the first place. And if you don't like your job, think about why you're there and be grateful for the experience you're gaining and how that'll help you in future when you look for a new role. Despite having a generally optimistic outlook on life and being a huge advocate of a positive mental attitude, I'm not completely on another planet and I do know that some days are just basically crap. While I'll always push to look for the good in every situation, it's sometimes good to just accept the bad times, roll with it, have a cry if you need to. You don't always need to be super strong and sunny about everything. It's healthy to feel sad and to let your emotions run free. Talk to people you love, vent on twitter, do what you've gotta do. Letting yourself feel negative emotions without feeling bad or embarrassed about it is as important to a positive mindset as any of these other points. Just when you're feeling better again, pick yourself up and do things to help yourself stay better, see your friends, watch a movie, have a bubble bath - just don't wait for the weekend to do so! That's all for now! I hope you enjoyed this post, this is a topic I could go on and on about for days, so if you'd like to see more posts like this, please do let me know. As always, my DMs are always open on instagram (@chloesway) if you fancy a chat or if you've got anything to add on this topic, I'd love to hear your opinions! Well hello again! Another music related post for you all today, this time though, it’s a review with a bit of a difference. 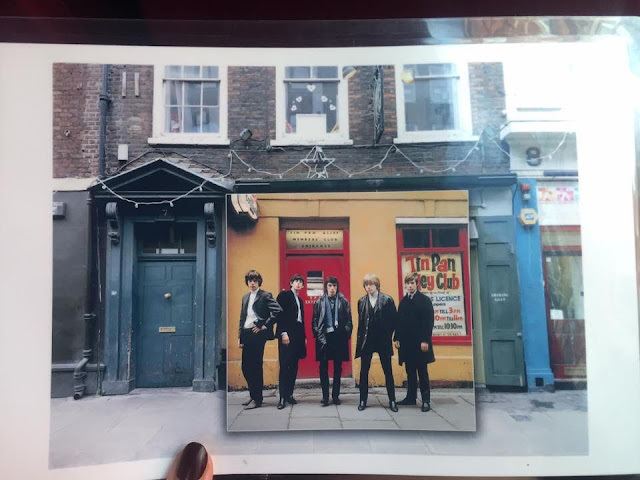 I’m not going to be reviewing a band, an album or a gig, but instead the ‘London Rock Tour’, which was a tour my Husband and I went on last summer. 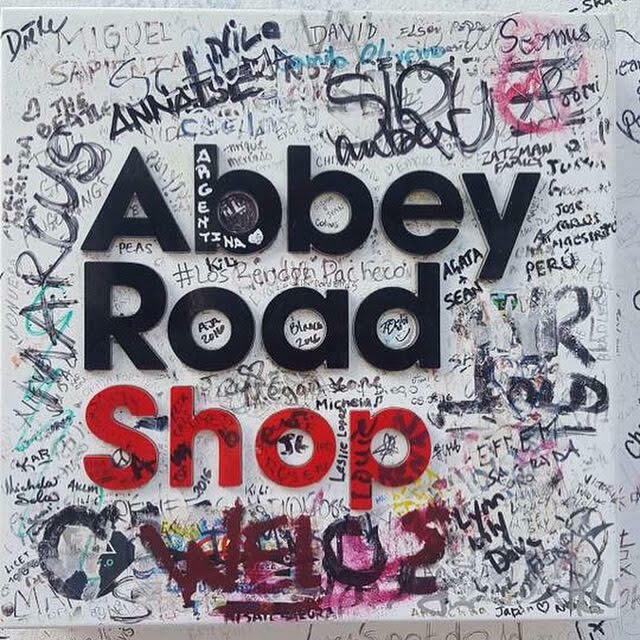 It’s essentially a tour of all the rock and roll ‘landmarks’ in London, from Pink Floyd’s studio to Abbey Road. If this sounds like your kinda day out, then read on! We met bright and early at The Original Tour Reservation centre just off Piccadilly Circus and met our tour guide, Lee and all the other people who’d be joining us on the tour. Lee was just fab and made sure to get to know a bit about everyone as he ticked our names off the list. There were people from all over the world on our tour and Lee made sure to find out everyone’s names and where they were from and managed to remember these details all day! So, introductions done, we headed off at 9am to begin the tour. We all jumped into the minivan (with band logos and branding printed all over the sides, love) and before we set off, Lee asked each couple or group what their favourite British bands were so he could personalise the tour slightly. Though there are places they go on every tour, he said he’d try to find at least something of some relevance to everyone’s favourite band or artist, which I thought was a great touch. Unfortunately, I can’t remember every single thing we saw and in what order we saw them, but I’ll do my best to cover what I can without giving away too many details for those who’d like to take the tour. What I do remember though, was thinking that I should’ve been taking notes! Lee had such a depth of knowledge about the London music scene and he was fascinating to listen to. The way he told stories of great British bands and their history was so natural, you could tell this was stuff he really cared about, not just words learnt from a script. You could call out the name of any British rock musician and Lee would have a story to tell. Something I particularly loved was that he’d play music from each of the artists we were discussing at the time, which re-ignited my love for many bands I’d not really listened to since my Dad used to play me all his favourites when I was a tiny kid! Another particularly great aspect of the tour was that it wasn’t just a ‘look at this recording studio from the window of the bus’, we actually got off the bus several times to look around and even went inside a few places to explore. One in particular was ‘Regent Sounds’, a guitar shop that used to be Regents Sounds Recording Studio where bands including Black Sabbath, The Jimi Hendrix Experience, The Who, The Rolling Stones and The Kinks had all once recorded singles or demos in their early careers. 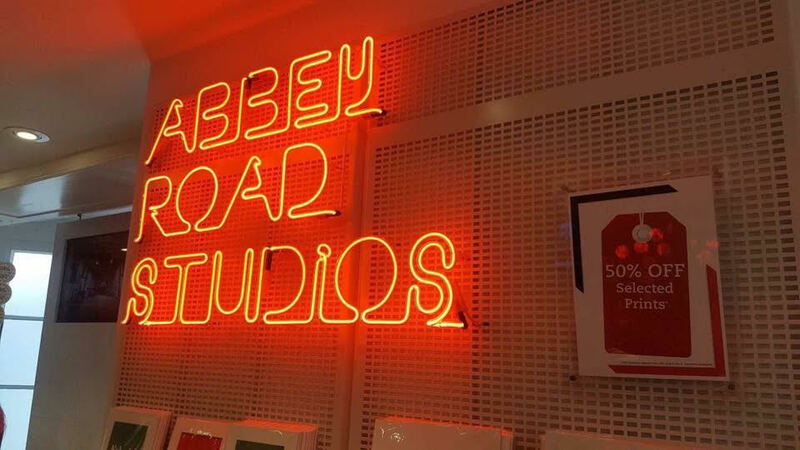 This studio is on Denmark Street, or ‘Tin Pan Alley’. While we were there, we also saw a site that used to be a coffee shop where David Bowie was among their regular customers. Those into music will know that Denmark Street has some of the most musical history that London has to offer, that’s why it was a particularly interesting and somewhat sad part of the tour, as Denmark Street isn’t what it used to be and lots of renovations around the area are slowly changing one of London’s most historic musical streets. The history of the area was just fascinating to learn about though and it was definitely a highlight of the tour. 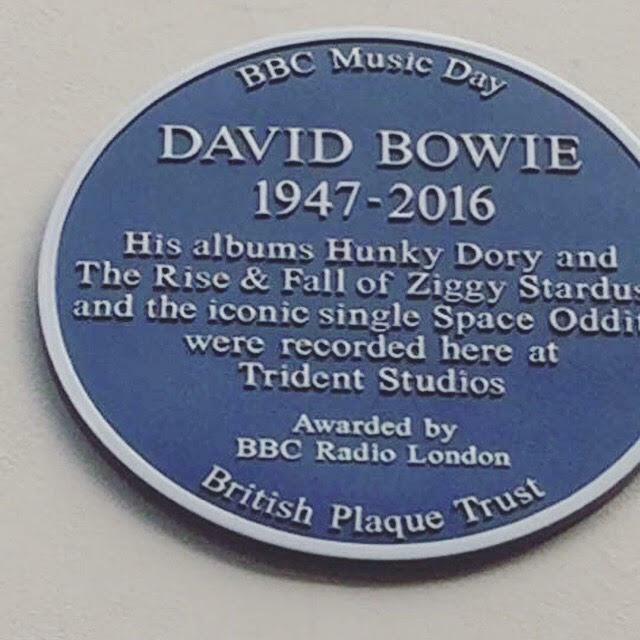 Among other things, we saw Paul McCartney’s London office, the school that the kids singing in ‘Another Brick in the Wall’ by Pink Floyd came from, David Bowie’s blue plaque at Trident Studios and Amy Winehouse’s house in Camden. Again, with all of these, we spent a little time there, in some cases being shown around the area and in others just being told about all the history and things that went on there. Again, I won’t go into the details too much so as not to ruin the surprises of the tour for anyone planning on going, but each and every place had such amazing stories attached to them and Lee knew every detail! Even driving around the city, he’d point to a doorway and tell you a quick anecdote about Paul McCartney, or to a shop to tell you what it used to be. It’s amazing how much history is hidden within our city just about everywhere you look! 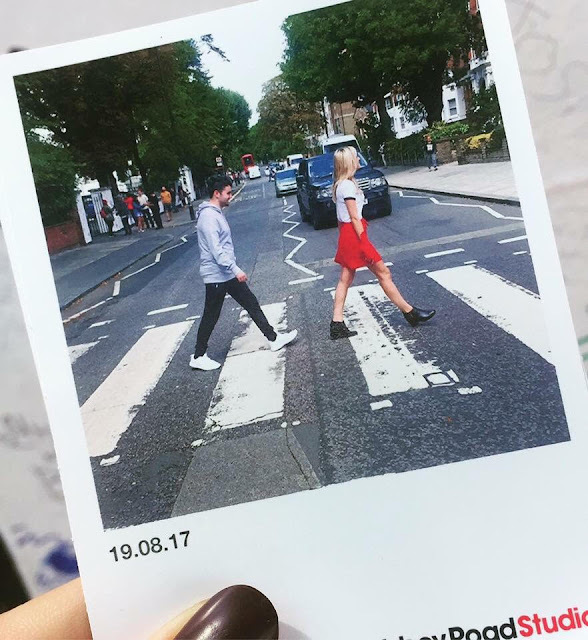 The final stop on the tour was the famous Abbey Road studios and Abbey Road crossing from the Beatles album of the same name. Lee made sure everyone got the iconic crossing photo and that we all got plenty of time to browse around the studio gift shop to pick up souvenirs. The tour lasted three hours with a break at a coffee shop in the middle and I can honestly say there wasn’t a dull moment. If you’re into Rock Music and want to learn more about and fully appreciate the history of it in the Capital, I couldn’t recommend this experience enough. 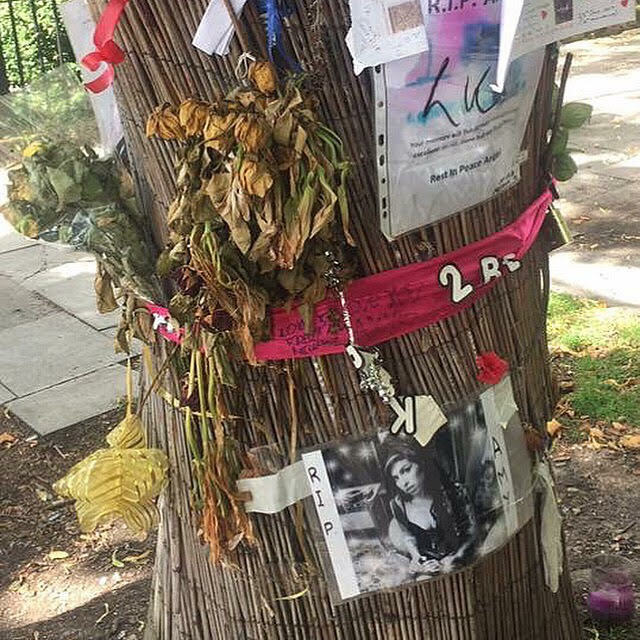 It’d also be great for those new to the city as you’ll visit some parts of London that aren’t necessarily typical tourist spots, but are worth seeing none the less! If you are interested, you can book the tour here through viator, tickets are £35 each and worth every penny (though I am biased!). Thanks so much for reading if you've made it this far! If you have any questions or would like to know more about what went on on the tour, please do head to my Twitter or Instagram, I’d love to chat! Anyone who knows me even a minuscule amount will know that music is pretty much the love of my life, I truly couldn’t live without it. My favourite bands announcing a new album or tour dates is like a mini Christmas for me each and every time. No matter what way you look at it, the industry has grown over the years, but arguably fewer bands that spring up nowadays have the longevity that bands and artists had way back when (this is a topic I could save for a whole other post, but I’ll save that for a another day). Part of the reason for this in my opinion is the dying trade that is ‘physical’ music. This brings me onto today’s topic, Vinyl records and why you should buy them! I’m going to try really hard not to sound like an unbearable hipster in this post because of course, all opinions are just that and you’re entitled to your own. That said, if I can convince even one person to check out their local record store, I’d be over the moon! So, if you can bear to hear me out and find out why I’ll always preach plastic, keep reading! I’ve admittedly not been a Vinyl collector for a long time at all, though before I got my first turntable last year, I still loved to buy CDs, for me there’s just something about actually owning your favourite albums that’s a bit more special that listening on Spotify or iTunes. I’m not here to slam subscriptions services, I’m a huge Apple Music user myself and I love nothing more than being able to easily create a playlist of my fave songs to blast in my car, but for me it’s just not the same. While I love a good shuffle at times, listening to an album on a record means you listen to one artist and one album all in one go. Often songs on a record will merge into one another or link to other songs on the album in some way and without really listening to the whole album in order, you don't always catch that. There’s something that feels quite special about going to a record store, flipping through rows and rows of LPs to find what you’re looking for. It’s much more of an experience than just downloading the tracks and playing them through a Bluetooth speaker. For me, that’s what music is all about, it’s an experience. Choosing the album I want, taking it home, sliding it out of its sleeve and putting it on my turntable. 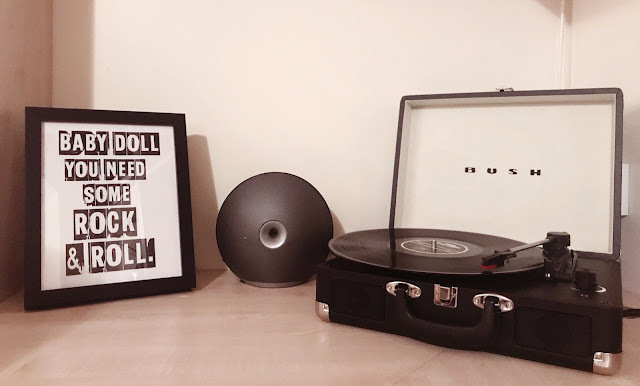 then turning it over once the side is finished is just one of my favourite things ever and makes listening to the record all the more enjoyable. I’m thoroughly aware of how cheesy that sounds, but if I’m going to get gushy about anything, it’s this! Other than the joy that is holding and owning your favourite records, there’s the sound. There’s much debate about sound quality between Vinyl, CD and digital and while I’m certainly no expert, I don’t believe it’s as black and white as one being better than another. That being said, many people, myself included just prefer the sound quality of Vinyl. The little scratch before and after the end of the record is probably my favourite sound in the world. While it's true that Vinyl can get warped or damaged, something you don't get with digital, I do think this can add to the character of the track and create a sense of nostalgia when the same part skips over each time you listen to a song. Of course, a huge reason to buy Vinyl is supporting your favourite bands and Artists in a financial sense also. There's no denying that people just don't pay for music any more. With it being so easy to just listen online or download a song for free, it's understandable that it's more difficult for Artists to make big money from physical record sales these days. I don't think buying into Vinyl will 'fix' this issue, but I do believe it will make a difference and it's certainly a step in the right direction. You also get that whole ‘Vinyl experience’ that I mentioned above, so that’s got to be a bonus! I think I’ll leave this post here for now as I’m sure I’ve been banging on enough about the topic, but I’d really love to know what your thoughts are! Leave a comment below or chat to me on twitter or instragram about this as I’d love to discuss! If you’d like to see more Music themed posts on Chloe’s Way, please do let me know! Hi everyone! So, a slightly different post today, but something I feel very strongly about. Today, we’re going to be talking about reasons that your car hates you, aka, ways you may be be putting yourself and others in danger while driving! While, thank goodness, I’ve never been directly affected by the consequences of dangerous driving, or poor car maintenance, I do know people that have and have heard countless stories about accidents and issues that could easily have been avoided had the driver taken better care of their vehicle. Something that you’d think would be an obvious point, but is all too easily forgotten is getting your MOT done. Forgetting or worse, ignoring your MOT is not only dangerous but also illegal. Apparently, many people wrongly believe that you can get away with driving without an MOT for weeks or even months after it is due, but this is not the case. While it is true that you can drive without an MOT if you are on your way to an MOT test centre, if you are stopped by the police, you must be able to prove that you are on your way to have your car tested, or else you can face a fine of up to £1000. If you have an accident, you insurance is highly likely to be invalid if you don't have an up to date MOT, leaving you to pay the costs of the damage. Essential safety features like your brakes, tyres, lights, windscreen, exhuast sytem and steering and suspension are all checked in an MOT among many other things. Lots of these are features that aren't easy to test ourselves, so getting it done is essential to your safety. While not compulsary, there are also risks to failing to have your vehicle serviced regularly. A service generally checks levels of the fluids, including brake fluid, screen wash and coolant. It will also check the condition of the engine, such as the plugs and filter, as well as testing the batteries, lights and tyres. There are several things included in a service that are not checked with an MOT, so it's important that you get this done regularly to avoid any nasty surprises! Doing self checks is also very important and the easiest way to ensure that your car is safe to drive. A quick look over your tyres to make sure they’re all pumped up and not flat before you drive anywhere, checking your oil and coolant levels and tracking regularly, particularly before a long journey and making sure all your lights work when driving in the dark. These are all so easy to do, but equally easy to forget. Getting into the habit of checking these things though could be the difference between a smooth and safe journey and a potentially fatal one. The reason I shared this post today is because while subjects like this can seem a little boring or out of line with fashion and beauty content on blogs right now, it’s something that is so important. I’m sure many of my followers drive and almost all of you regularly travel in a car and I know I’ve been guilty of forgetting these things - I even drove home from work with an entirely flat tyre once because I hadn’t checked - never again! For that reason, I hope that this post serves as a reminder to at least some of you to check when your MOT is due, do little self checks on your car and stay safe on the road! This post was written in collaboration with KAP Motor group, if you're in the area, you can book a hassle free reservation of your MOT test in Kent with KAP, so you'll be safe in the knowledge that your car is good to go!